Aircool carries all PMI brand coolers. The Frigiking™ & Aerocool are manufactured by Phoenix Manufacturing. Phoenix cooler are made with a protective Peblar XT powder coating that protects the cooler from corrosion. It also features an oversized blower wheel and a microscopic blower shaft finish to ensure the maximum amount of air flow is the quietest operation. The Frigiking™ comes with an eight year warranty on the cabinet against rust. The Aerocool™ is made by Phoenix Manufacturing, and is very much like the Symphony. They both take the rigid media pads, and they both have special coatings to protect them from corrosion and the elements. The big difference is the wet sections of these coolers. The Symphony features an all metal wet section which can rust out, but the Aerocool™ features a plastic liner in the wet section, lessening the chances of rust. The Aerocool™ comes with an eight year manufacturer warranty on the cabinet against rust. 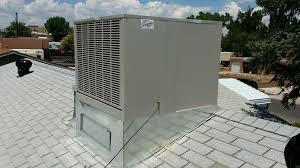 Aircool is an authorized dealer for many of your brand name evaporative coolers. 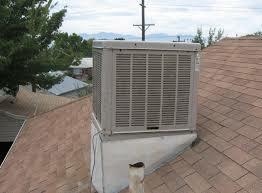 With 40 plus years of experience, we are your number one source for evaporative coolers, pads and parts!